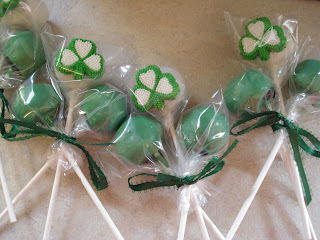 Kelly's Cakes & Pops: St. Patrick's Day Cake Pops!!! 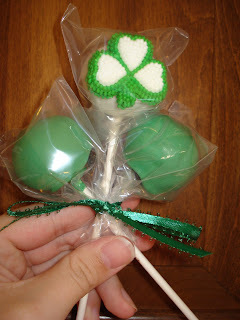 These are St. Patty's Day cake pops that were done for my mom. She wanting something to hand out at her school for St. Patty's day, so this is what I created. The filling is dark chocolate fudge cake!! Hi I am Angela Kroge's dauter she told me about your cakes and she is right they are beautiful! !